Your LinkedIn profile is your professional web presence. Though you may have a portfolio site, website, or virtual resume, your LinkedIn profile has the highest probability of being seen due to search engine optimization. You need a LinkedIn profile that clearly communicates the work you can do. What do you do best? What do you want to be found for? Don’t start writing until you identify your primary and secondary audiences. One of the challenges that you may run into is writing your profile in a way that speaks to ALL your audiences. This could be prospective employers, current or future clients, colleagues, or networking connections. You need to decide what you want to use LinkedIn for. Are you looking for work? Are you building a business or prospecting for clients? Once you know your purpose, the hard work begins. Research keywords that you want to be found for. Look at your Skills and Endorsements section – are the skills you have listed the ones that you want to be found for? Look at LinkedIn profiles of people in similar roles. What do you like or not like about their profiles? Review websites of companies who do similar work to what you do. What words or phrases grab you? Now, what’s your unique value proposition? Chances are that other people can do what you do. What makes you different? How are you better? How can you solve the problem that your potential employer or prospective client faces? Try to distill your value proposition into a simple phrase that you can use in your headline. Struggling to figure out your value proposition? At Career Story, we specialize in helping you uncover and communicate your value. But be careful. Here’s what most people miss out on LinkedIn. LinkedIn is about relationships. A good networker connects with people in a meaningful, thoughtful, and friendly manner. But most profiles on LinkedIn, a networking platform? Bland. Generic. Sterile. Imagine going to a party where someone talks about themselves in formal language for the entire evening. No thanks! All that to say that it’s important to build your LinkedIn profile in a friendly, professional way while still precisely capturing the depth of your skills, experience, and training. Integrate stories as evidence of competence. The best LinkedIn profiles include micro stories that demonstrate personality, motivation, and skills. Let people get to know you. In an increasingly competitive market, you will be up against others with similar skill sets. In the end, employers will choose the person who fits best within their company culture. Again, it’s about building the relationship with your audience. Your content on LinkedIn is your ticket to fostering this relationship. Want to be taken seriously? Take your appearance into consideration. You need a good profile picture. No ifs or buts. It doesn’t need to be a professional picture, but it should be a head-and-shoulders shot with a non-distracting background. No wedding photos, vacation shots, or poorly cropped pictures. And add a background picture. Pixabay has a wide range of “no attribution necessary” pictures you could use. Lastly, write your profile for readability. One of my writing rules for LinkedIn is no paragraphs over three lines. Make it easy for anyone scanning your profile. Use spacing and icons to organize information. And remember, more is not better. The goal is clear and concise communication, written in a friendly, professional way. How are you looking for work? If you are like most people, you are cruising the online job boards, looking for the ideal opportunity. But by the time you see an online posting, it might be too late. Even advertised jobs are often filled by a referral. So, it’s critical to be proactive in building your network before you need it. And LinkedIn is an excellent platform to do that. 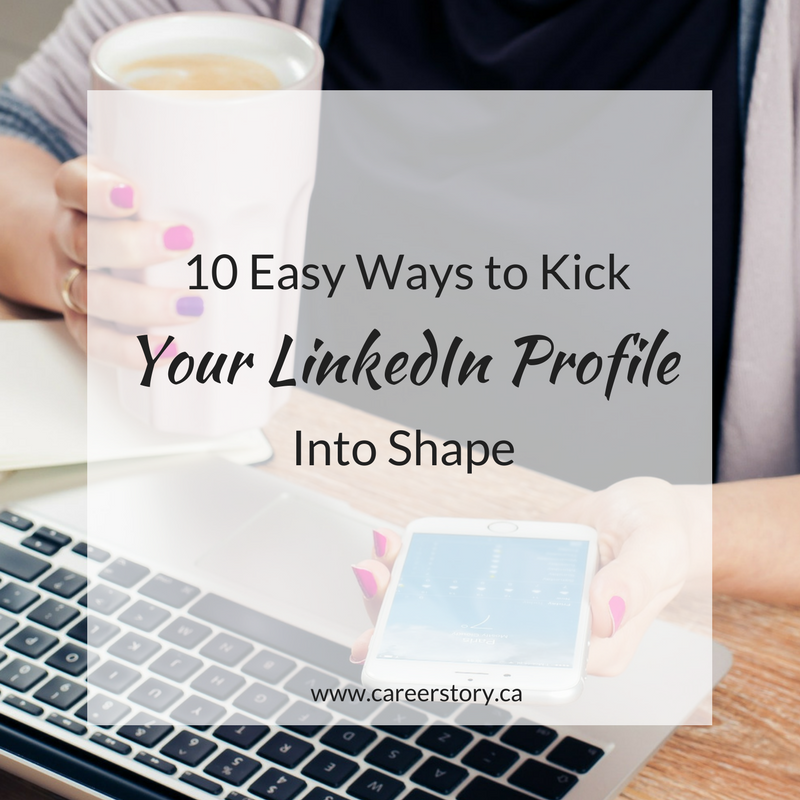 If you are serious about building up your career, start building up your LinkedIn network. Here are some easy steps you can take. 1. Identify companies that you want to work for. Go to the company page and follow each company. Log into LinkedIn daily to keep track of any company updates or job opportunities. 2. Look at the employees who are part of the company. Identify 3 – 5 people within each organization that you want to get to know. It can be someone at the same level who can give you insight into the company or job responsibilities. Or it can be a manager or HR professional. 3. Go to the individual profiles of each person. Click to “Follow” their activity. Make sure your privacy setting allows users to see that you have viewed their profiles. 4. Interact with the posts that they publish. Like posts and articles. Make intelligent comments or offer expert advice. 5. If they do not connect with you after several interactions, send a personalized connection request. In your connection request, be specific about why you want to connect. For example, you can ask for advice related to your next career step. 6. If you hear back, focus on building the relationship. The goal is to move your interactions off LinkedIn into a phone call or face-to-face meeting. 7. Research recruiters within your field and connect with them. Beyond having connections with employers, recruiters have an expert understanding of the labour market. They can provide information on skills, qualifications, and experience that employers are looking for. 8. Follow your professional association and connect with individuals who work for the association. In the meantime, make sure that you are doing what you can to build up your visibility as a professional in your own field. Start publishing your thoughts and ideas through LinkedIn Pulse. Update your LinkedIn status several times a week, but not more than once a day. Actively add new connections to your network. Like or comment on updates or articles that your network publishes. But, remember this is not a quick fix. This is a long-term strategy that works if you invest time and energy. LinkedIn is about establishing trust and credibility. If you want help with your LinkedIn strategy, connect with us to find out more. You’re on LinkedIn, ready to move forward in building your career or business. But as you observe the behaviors of people in your network, you start to wonder what your strategy should be as it seems that anything goes. Here’s how you want to approach LinkedIn if you are serious about building your professional brand. 1. Use a professional headshot on your profile. You want to look friendly and engaging. Remember, this is a networking platform and first impressions do matter. 2. Personalize your invitations to connect. Review the person’s profile and tell them why you want to connect. 3. Be friendly in responding to connection requests and start a conversation. Get to know your network and find out how you can help them. 4. Share useful information with your network. The LinkedIn newsfeed provides many articles that you can pass along. 5. Watch what content you interact with. Any actions you take (such as liking or commenting on an article) are visible to your network. If you comment on content that is sexist, racist, political, or religious, you can harm your employment prospects. 6. Avoid saying anything negative about your employer via LinkedIn. 7. Respond to your LinkedIn messages within 1-2 days. 8. Don’t over-post to LinkedIn. Aim for several posts a week, but not more than one post a day. 9. Respond to recruiters that reach out even if you aren’t looking for work. 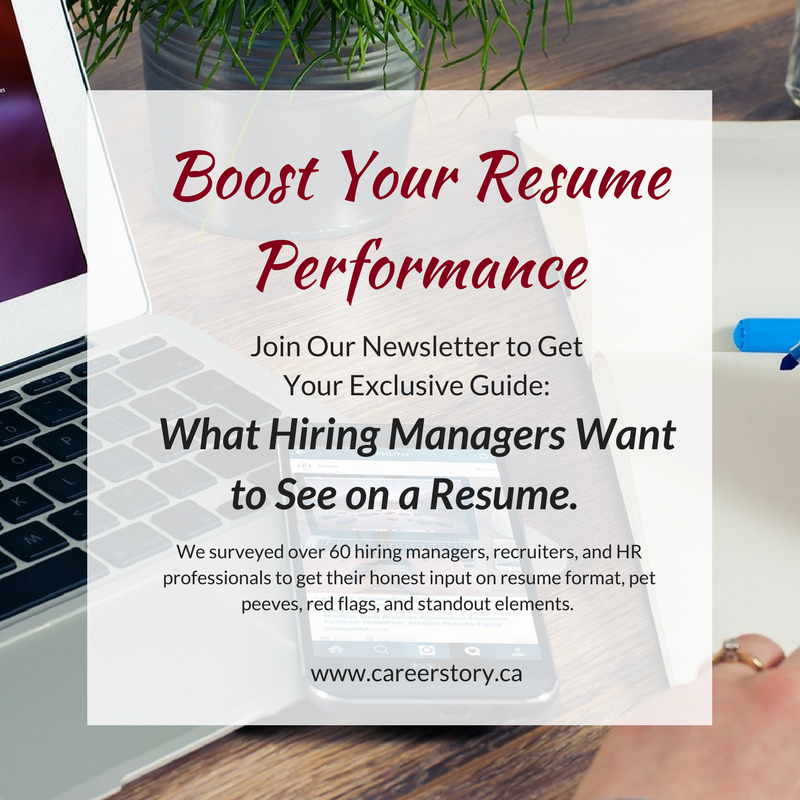 Recruiters have a strong sense of what is going on in the labour market and can provide valuable information. 10. Be a considerate human being. Acknowledge life events within your network like birthdays, promotions or job changes. Send a personalized message. At the heart of it all, LinkedIn is a way to connect humans with humans. If you keep a person-centred approach on LinkedIn, you will be well on your way to building up a professional presence. You know it is time to make a career move. The challenge is that you are stuck for new job ideas. Spend a little time conducting career research on LinkedIn. Here are a few ways that you can use LinkedIn to generate new career direction. First of all, take your profile out of the editing mode by clicking the "View As" button under your picture. Scroll down to the education section and click on your school’s name. This brings you to the school's home page. You can now see aggregated information on graduation outcomes and career paths. Then use the Search box to further define what program you want more information on. I completed the Community Counselling certificate through Vancouver Community College. I want to know more about where graduates from this program might end up working so I type in "counselling." I can now see a list of fields and companies where graduates work. What a great way to identify potential employers who may be looking for candidates with your educational background! Now let's explore what type of work people with similar skills to yours are doing. Scroll down to your Skills section. (Again, make sure you are not in editing mode.) Click on one of the skill endorsements for to see further information. You will see aggregate information on where people with the same skill work and where they got their training. But even more helpful is that you can see profiles for people who have the same skill. Browse through a few profiles. What brought this person to this position? What type of training or education did they take? What are their current or past roles? What organizations have they worked for? I often use LinkedIn as a search engine to research specific jobs. It is one of the most helpful places to get information on job duties and possible career paths. If you want more information, consider reaching out and asking for a short meeting to find out more! Did you know that you can follow people or organizations on LinkedIn? If you do, their updates will appear in your newsfeed. You do not need to connect with someone to follow them. It is an easy way to stay up-to-date on industry trends and company news. Skeptical About LinkedIn? 11 Benefits of Joining that You May Not Have Realized! 1. Get REAL names of REAL people. Picking up the phone works if you know who you are trying to reach. I like that LinkedIn provides a way to do some sleuthing to figure out who I want to talk to, like business owners or hiring managers. Once I have a contact name, I can then figure out the best strategy to get in touch. If you want to do some information interviews to get some advice, LinkedIn is the perfect place to identify potential contacts. 2. Conduct career research. Use LinkedIn to figure out how successful people got to where they are. Look at profiles of people you admire. What type of education or training did they pursue? Where did they work and what types of roles did they take on before they got to where they are now? 3. Find points of connection before a meeting or interview. Recently, I was going to a meeting where I did not know some of the participants. I went onto LinkedIn before our meeting to see what we had in common. It made starting a conversation much easier! 4. Keep in touch with acquaintances, past colleagues, or references. The nature of work is becoming more transient. Clients that I see often have upwards of 5-7 employers on their resumes and it can be tricky to stay in touch if you aren’t comfortable using a personal network like Facebook or when your contacts move on. That’s where LinkedIn is great – you can keep the relationship professional and you always have a way to get in touch even if your contact changes jobs. 6. Provide more information to potential employers: LinkedIn is often used as a pre-background check. You should expect that you will be googled by a potential employer. Why not use your LinkedIn profile to highlight additional information that you were not able to fit on your resume? You can include recommendations from others, projects you have worked on, or articles you have published. 7. Follow companies and find out about upcoming positions. LinkedIn has become more robust over the years and now allows you to follow thought leaders and companies. This is a great way to stay current on new ideas and potentially see job opportunities from companies you are interested in before anyone else does. 8. Share and gain industry knowledge. I love the LinkedIn groups feature. You can research groups associated with your area of interest and then start to hear other people’s ideas and contribute your own ideas. If you are currently unemployed, this is a fabulous way to stay up-to-date on the emerging trends and ideas. Imagine being in an interview and being able to share some tidbits of knowledge that you have gained through your active participation and contribution to conversations happening in your industry! 10. Have an opinion and promote yourself. The tone of LinkedIn is different than a resume as it is often more casual. And did you know that you can now publish articles on LinkedIn? If you want to share professional ideas or opinions, LinkedIn is the place where this is welcome! 11. Keep changing your profile. Unlike your resume which is static once it is submitted, you can continually look for ways to improve your LinkedIn profile. You can build additional content and publish articles as well as update your profile status on a regular basis. So there you have it. 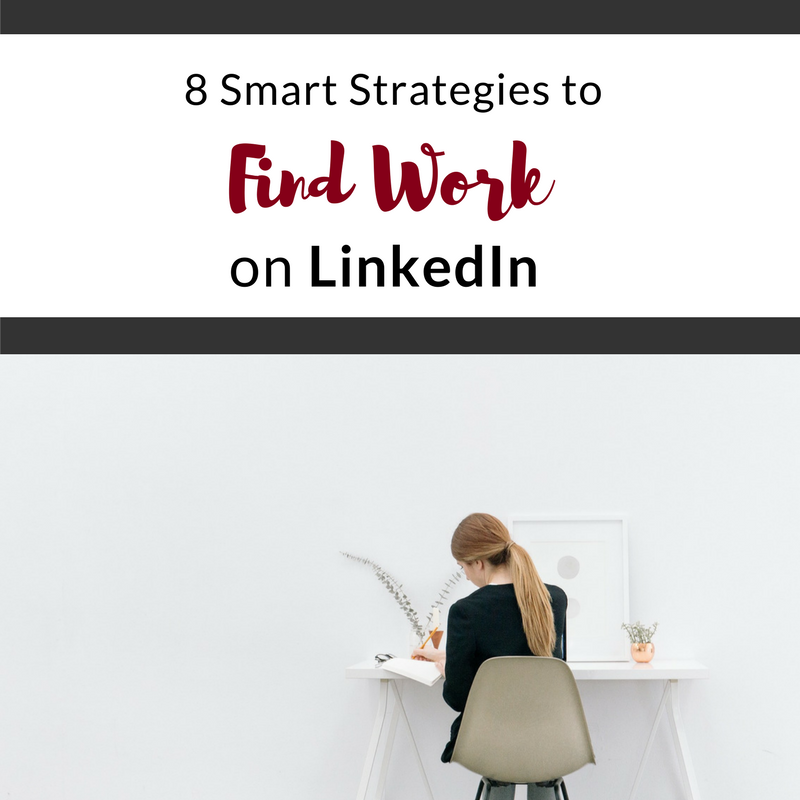 If you are skeptical about LinkedIn like my friend is, hopefully, now you have a few ideas to consider about how LinkedIn might benefit your career, job search, or business! Kristin Vandegriend is a Career Coach and Resume Writer at Career Story. With over 10+ years of experience in HR and career development, she has successfully worked with hundreds of clients to find meaningful and sustainable work. 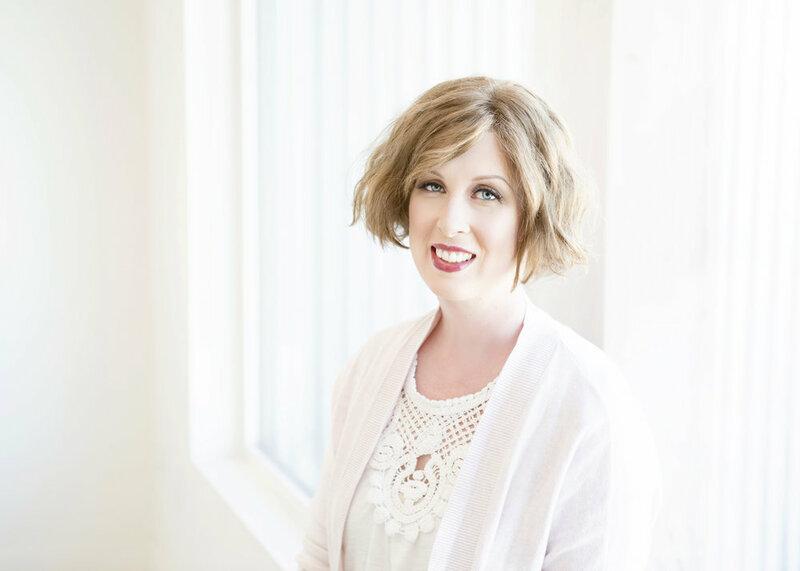 Her passion is helping clients identify career paths and creative job search strategies that leverage and market their personal strengths and resilience. Connect with her onTwitter, LinkedIn or Facebook.